Effective advocacy in business law and other practices — that has been our mission at Gottschlich & Portune, LLP, through nearly 20 years of service to the Greater Dayton area. You know us by our office space in the historic Armory building towering over the traffic on Sixth Street. Clients know us by our professionalism and positive results in the areas of business and commercial law, probate and estate law, labor and employment law, construction law, municipal law, personal injury, and medical malpractice. We work with businesses large and small at every stage, from formation to succession. We fortify businesses with sound contracts, and we conduct assertive business litigation when contracts are not kept. We are not the firm that makes a big noise. We are the firm that achieves results and maintains successful long-term relationships with businesses and other clients. We can succeed for your business because we know your industry, whether it is real estate, retail, construction or finance; whether you are a sole proprietor, corporation, professional partnership or limited liability company (LLC). All our attorneys are multidisciplinary, doing work outside business law and business litigation. Our lawyers strive to be versatile and to be part of the community we serve. 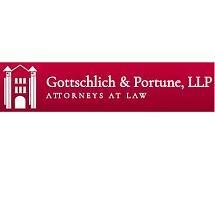 When you need able representation to prevent problems in the future or to deal with problems in the here and now, work with the law firm that businesses and family members recommend to others: Gottschlich & Portune, LLP, of Dayton, Ohio.